Create your own Professional Looking EPUB and MOBI files to Upload to Major Retailers and Distributors. Understand the fundamental differences between formatting for an eBook and formatting for hard copy. Step by step instructions for formatting an ebook in Microsoft Word. What file size, aspect ratio and file type you will need for your book cover images. 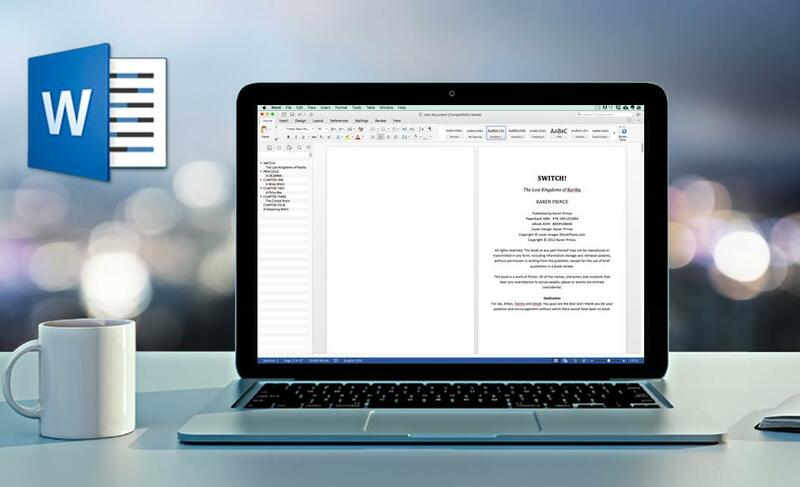 How to convert a Microsoft Word document into an eBook using the Calibre conversion tool. If you're interested in learning how to package and publish your own eBook, then this is the course you want to follow. The instructor walks you through the process in a very simplistic manner without being condescending, which is not the easiest balance for even experienced teachers to make. The course is complete but at the same time concise. My level of anxiety at this point as I get to my final work is fairly high. Karen's calm and clear approach to the formatting has brought my internal temperature down quite a bit. I am actually starting to believe that I will wind up with a book.